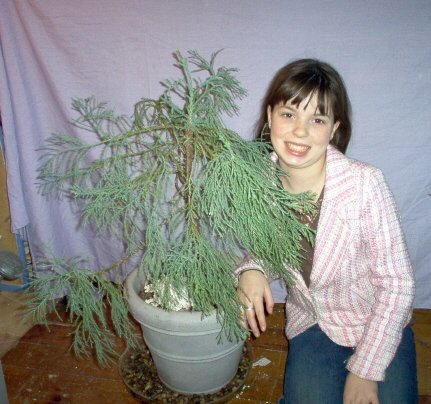 Amies tree - A friend of the family brought my daughter Sequoia this back from CA about 3 or 4 years ago. In the summer it goes outside. I usually put it at the edge of the woods. It seems to like it there. It stays out until about November. George Melvin created an enclosure for his giant sequoia for winter protection with success. Duncan's Uncle Red tree "I purchased five Giant Sequoia trees from you in the spring of 2006. Since then they have made it through two Maine winters..."